​The game of football - and it is just a game - is laden with revolutionaries. It is forever evolving and changing irrevocably. It rarely stagnates, and just as it starts to, someone comes along to reinvent the wheel. This can come in the form of either a player or coach, or sometimes both. Here are eight of the esteemed few people who can claim to be in one of those three categories. There are a number of instances over the years of players becoming synonymous with certain positions, especially if those positions are somewhat uncommon. But barely a handful of players can make a position their own to such an extent that it actually becomes named after them. But that's what Claude Makelele was able to do from the holding midfield position. Ahhh, the 'Makelele role'. It's simple, really. You just have to read every sinew of the game meticulously, and act accordingly. Easy work. Well, maybe Johan Cruyff can't attest to a whole position named after him, but he sure can boast about being immortalised in the naming of a defining piece of technical skill: the Cruyff Turn. And what a thing of beauty it is. What joy it has brought to the game since. Of course, that's not all the Dutchman did. His significant work as a manager with Barcelona effectively preordained everything we love about football today. Not bad, as far as revolutionaries go, eh? Xavi Hernandez. 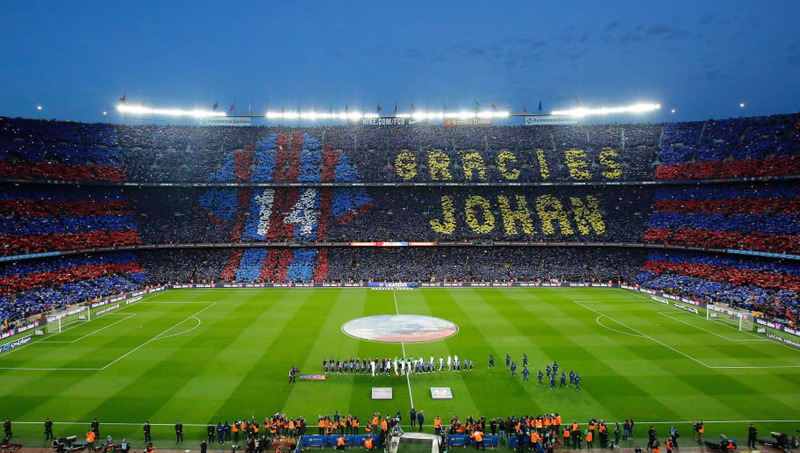 It's a name forever entwined with the exact philosophy Cruyff fostered in his days at the Nou Camp. But in many ways his defining moment of revolution came in national colours with Spain at the Euro 2008 Championships. Of course, he'd already established himself as a supreme talent, but the masterclass in passing that he put on in his player of the tournament showing in Austria and Switzerland that summer showed that this philosophy could be effectively translated to the international stage, something even Cruyff could not do. You just have to hear the way those who played under Sir Bobby Robson speak about him to know the effect he had on football. Perhaps the greatest man-manager of all time, Robson perfected the art of motivation and confidence building throughout his managerial career. His love of the game was contagious, and his connection with fans so strong because of it. You also only have to look at the number of players and coaches who worked under him and went on to become this generation's class of tacticians, and the debt they attribute to him, to know he wasn't too bad at that side of the game either. What more is there left to say about Lionel Messi? Well, very, very, very little. But we'll try anyway. The Argentine has reset the parameters for how we judge forwards forever. His goalscoring and creative exploits, which continue to astound to this day, are the bane of the lives of almost all of his frontline colleagues. And this is all from a man who was deemed too small to ever be a professional footballer. There, we tried. No revolution is utterly original. There will always be influences to guide you, reference points that become the foundation of something completely new. And this is what Pep Guardiola did. Building on the teachings he learnt from two revolutionaries already named on this list, Johan Cruyff and Bobby Robson, among others, he forged a fresh style of play for the modern day. And it's worked out alright, all told. Perhaps not the most fashionable name these days, but if you were listening to all the tributes that poured out on the dawn of his departure from Arsenal, you'd know why he's here. Arsene Wenger almost (almost) single handedly brought the Premier League out of the dark ages and into the 21st century. His innovations were innumerous, his tactical and economic knowledge unerring. When all is said and done, he remains a pioneer. Just one who stuck around watching his legacy play out for a bit too long. The preeminent football leader of this century, perhaps any. Sir Alex Ferguson's list of achievements and honours would outrun the entire word count of this article, so we won't name them all here, but you know what they are. And if you don't, you should. "I've never played for a draw in my life." That quote right there sums up Ferguson in a way us mere mortals never could.